Old Norse (autonym: ‘Dönsk tunga’ – ‘Danish tongue’) was a an Old Germanic language spoken by the ancient Indo-European inhabitants of Scandinavia (i.e. the Norsemen) as well as by their descendants in the North Atlantic colonies of the Viking Age (e.g. the Faroe Islands, Iceland, Greenland, England, Ireland, and Vinland) over the course of the early Middle Ages. It was the predominant language in most of these territories between the 9th and 13th centuries, having been used as the principal means of communication with respect to diplomacy, commerce, and religion. 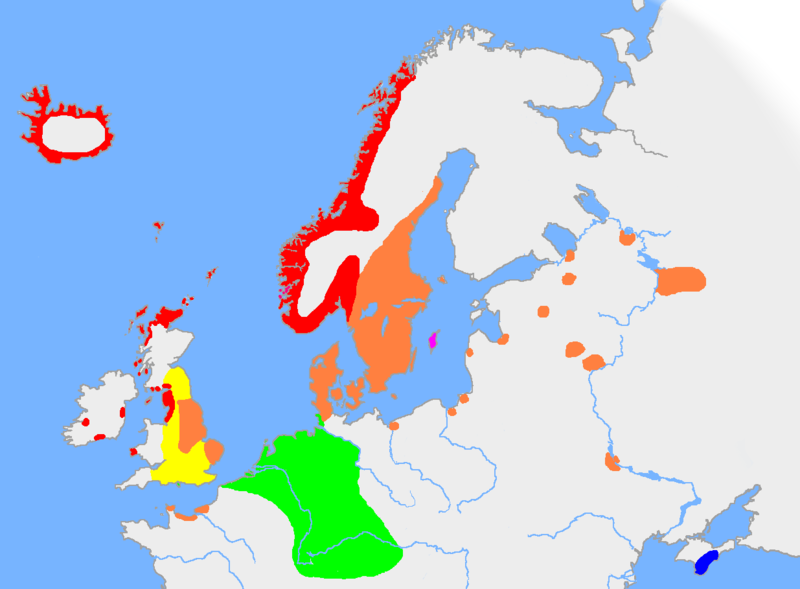 In the particular respect of comparative linguistics, Old Norse was descended from Proto-Norse (alternatively known as Proto-Scandinavian), a Indo-European language spoken in Northern Europe from late Antiquity to the beginning of the Viking period (2nd century AD-8th century AD). The alphabet used by both Proto-Norse and Old Norse was known as ‘futhark‘, a Runic script. 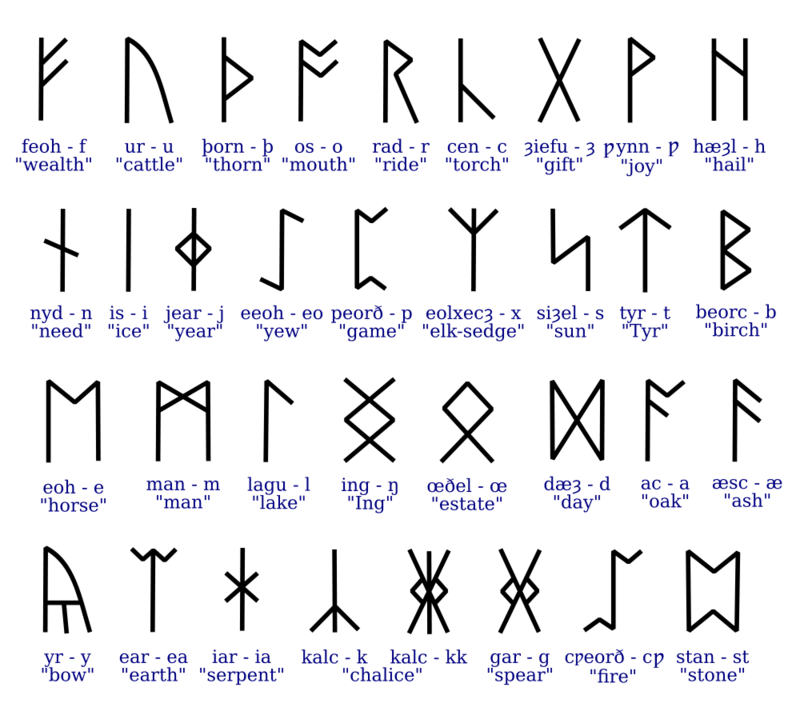 However, Proto-Norse used a distinctive Runic set than its successor, Old Norse. the Elder Futhark (in use from the 2nd century AD to the 8th century AD). From it, the Younger Futhark (in use throughout the renowned Viking Age) was descended. Later on, after the Christianisation of Scandinavia, the Younger Futhark ceased to exist and was replaced with the Latin alphabet. However, in parallel, the medieval Latinised Scandinavian runes were also used, mainly for decorative purposes, up to the mid 19th century. 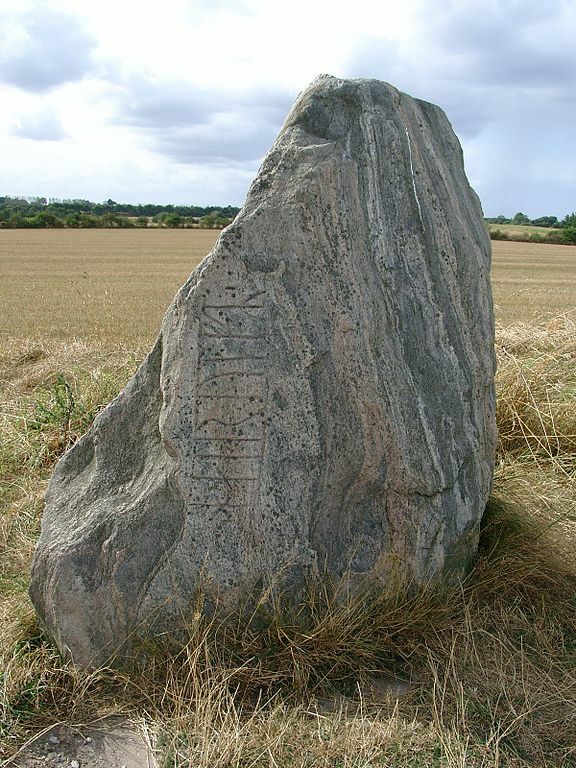 Closely related writing systems to the Norse Futhark include the Gothic runic alphabet, the Anglo-Saxon futhorc, and the Dalecarnian runes. The latter had been used in the Swedish province of Dalarna until the round of the 20th century as the writing system of Elfdalian. Norn and Greelandic Norse are two extinct languages that were descended from Old Norse but ceased to be spoken in the meantime (Norn went extinct in the mid 19th century whereas Greenlandic Norse much more earlier, most likely at some point during the 15th century). Nowadays, the most closest North Germanic languages to Old Norse are Icelandic, Faroese, and Elfdalian.